Newly-crowned National Calypso Monarch Helon Francis says aspiring artistes should not be afraid to come forward and take responsibility for the art form. 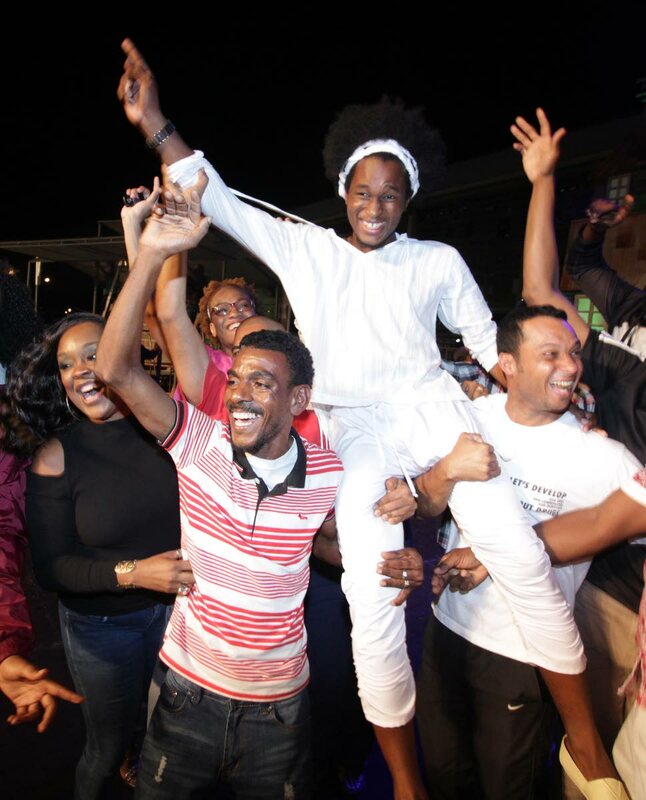 “Come forward and do what you supposed to do,” he told reporters after winning the competition, early yesterday, at the Dimanche Gras, Queen’s Park Savannah, Port-of-Spain. Francis, 24, sang a powerful social commentary titled, Change, which called on citizens to review the manner in which they did things at a nation level. He beat a stellar line-up, comprising four former monarchs, to take home a first prize of $700,000. Hot contender Aaron “Voice” St Louis came in second with the popular Year For Love, while former south monarch Rondell Donawa and Michael Legerton, otherwise known as the Protector, placed third and fourth, respectively. Reply to "Helon wins calypso crown"